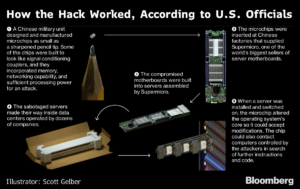 In a must read article, Bloomberg Businessweek reported on ‘The Big Hack’ of SuperMicro in what could possibly be the biggest data breach in recent history. Quiet as kept, this story flew under the mainstream radar after dismissals from the supposed effected companies like Amazon Web Services and Apple. The ramifications of an admission of guilt could send their stock price tumbling by alerting millions to a data breach that stretches farther and wider than we are able to grasp. The hack of hardware is something that, not only do we normally not see, we simply don’t check. There is a point where a vendor must simply be trusted. Hardware comes equipped with manufacturer’s warrantees that protect customers from failing equipment. They also regulate their use including spacing within racks at a data center or governing firmware updates. These warrantees can be voided if an IT professional for misuse of the equipment including dissecting a piece of equipment for examination. The claim is that a tiny chip was inserted into a component of hardware deployed in thousands of data centers, used by the largest companies, storing some of the most critical data in the world. Apparently, we were hacked by China and they’re in all of these machines at these data centers. What they have, we may never know. The impacted companies released statements that left a lot to be desired. If you know you have this equipment in your data center you’d rip it out if you could and you certainly wouldn’t install them now. What does the Supreme Court have to do with all of this? Here’s a hint, this goes back, way back to around the time Brett Kavanaugh began ‘Ralphing’ at Georgetown Prep and way before his appointment to the highest court in all the land. Judge Green’s impact on the telecommunications industry is that of legend. It’s a story of capitalism getting too big and the government overstepping their bounds. AT&T had the whole industry under lock and key controlling both the network and the equipment that powered it. AT&T had the phone lines, the telephones, and the switches that made it all work. Their reputation for poor customer service didn’t help when it came time for the judges, many of whom had experienced AT&T’s lack of customer service. The company was broken up. Fast forward to 2018 and that network provides much more than just telephone service. The underlying network is absolutely mission critical to our national security and our daily lives. Its become so powerful that the whole computing paradigm shifted onto its head pushing applications out into the cloud from a centralized platform that was slow, clunky, and difficult to access. Intrusion detection and prevention can allow you to see inconsistencies in your network but when the backdoor is within your hardware chances are you won’t detect the false positives. So we eventually arrive at capitalism’s version of chicken or the egg. How much regulation? Then whose responsible for that regulation when it goes wrong. AT&T was broken up and other companies began making equipment to patch the vulnerabilities in an open and widely distributed system. There’s so much data flying over our networks that no one anticipated. Who would believe in 1986 that you can buy a car from a vending machine on the internet? No judge could foresee that flaw in their philosophy if they’re not a technologist. I’m sure the folks at Bell Labs thought it possible and they were thought to be crazy, weird, and geeks. So here we are with a fully distributed system that transcends wired connections and is present in every facet of our life down to our refrigerators! Experian didn’t let us know of a breach of our financial data for over six months, this is much worse so mere statements aren’t going to cut it. We need to see proof that our network is still secure. Amazon Web Services and Microsoft Azure are the hottest topics in IT which is curious because less than 10 years ago the thought of crucial data being housed outside of your company’s data center was unheard of. Today, it’s a best practice to use some sort of hybrid architecture for your data center but the key is to mitigate exposure by dishing our your data based on its level of confidentiality and accessibility requirements. I wouldn’t be surprised if we start to see the pendulum swinging back to the data center and away from the cloud as companies keep their data closer to the chest. In fact, WikiLeaks recently released a map of AWS’s global data centers increasing their vulnerability. It’s necessary to have progressive minded individuals to set policy. Breaking up AT&T was a controversial decision with long lasting implications. Would we be better off had it not been broken up? Would speeds be as fast? Would we be talking about AT&T Web Services instead of Amazon Web Services? Would SuperMicro be compromised by chips allegedly inserted in devices by the Chinese government? Would those devices ever have been manufactured oversees? With Net Neutrality still threatening to change the nature of the broadband landscape and telecom companies merging back towards whence they came, it looks clear that the bigger players are getting bigger. With less competition the true answers will be harder to find. That’ll keep you awake at night as a security minded IT professional or CISO. The ‘take it or leave it, where else are you gonna go’ mentality of the telcos of yesteryear is being adopted by many of the cloud providers, at least that’s how one could interpret their denials of the breach. I don’t expect this equipment to begin being manufactured in the states anytime soon. I don’t expect our judges and politicians to begin to understand technology on a fundamental level. I don’t expect AWS, Microsoft, or Apple to admit to a breach. I don’t expect technologists to begin to consider regulation when innovation. I don’t expect to see the sucker punch, all you can do is stay a vigilant as possible, ready to react should an event occur, and pray that it’s not a crippling zero day attack that leads to a breach massive enough to send you to barista training. Schedule a Data Center Tour Today! GPS spoofing can probably make your self driving car go right off the cliff! What is GPS Spoofing? Its when the GPS information going to you device does not reflect your current location because its been hacked and given the wrong info. Picture you’re this, you’re at work in the middle of an important meeting and get a call from the landline at your house. You’re thinking, “how can this be?”. After all, you live alone and haven’t given anyone your landline number because you only got it because it came with your cable bundle. You answer the call and its a robocall from whatever the latest scam is. For a brief second that telephone number spoof caused chaos. Imagine if the spoof wasn’t focused on your phone and was instead focused on your GPS. The potential chaos is enormous. 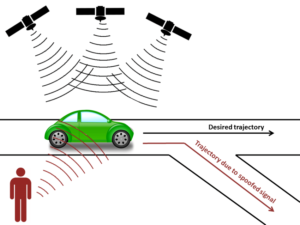 Whether redirecting customers to competitors, causing maritime traffic on shipping routes, accidents in self driving vehicles, or any of a wide variety of technology issues for systems reliant upon GPS. Today, more and more systems are reliant upon GPS and these are physical systems that dictate basic logistical functions so this is likely the to be the security vulnerability with the greatest danger to your physical well being. Back in July the Department of Homeland Security reported that our power grid had been infiltrated by state sponsored actors showing their advanced capabilities to gain access to mission critical infrastructure systems. GPS Spoofing adds a new layer of danger. 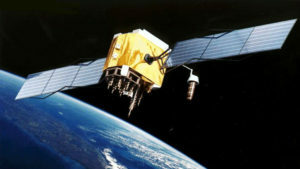 GPS receivers are able to access the Global Positioning System which uses DOD satellites to provide information. Those receivers are vulnerable to attack. The Wall Street Journal’s Adam Janofsky published an article yesterday claiming that with a $223 device, a team from Microsoft Research and the University of Electronic Science and Technology of China were able to redirect 40 drivers, sending them to destinations of the hacker’s choice. 95% of people followed the route to a place they did not want to go. 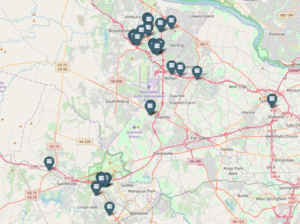 This ability, as you can imagine, that GPS Spoofing provides hackers doesn’t have an easy solution and hackers are continuing to develop their attacks as we patch vulnerabilities. 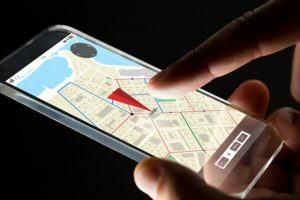 The Department of Homeland Security has produced an unclassified document that shows organizations and individuals and organizations 22 specific recommendations to protect themselves from GPS Spoofing. Some of their recommendations are to obscure antennas, provide decoy antennas, introduce redundancy, practice good cyber hygiene, use whitelists, and enhance anti jam capabilities. The report is pretty in-depth and is recommended if you want to learn more information on GPS Spoofing. If you’re worried about employees and/or contractors engaging in GPS Spoofing to fool your timecard and telemetry systems adding billing dollars onto your bottom line, its a real concern. 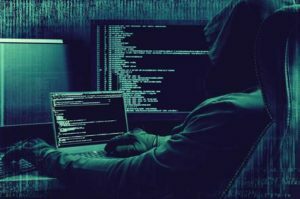 This shows that cyber security is a concern that has wide stretching implications that all of the departments across your organization should weigh in on to develop the right strategy to protect your organization. So, the next time you hop into an Uber or Lyft, make sure your driver is taking you directly to your destination and not GPS Spoofing you to add a few dollars onto your fare. Mother Nature is not a force to contend with. With hurricane season 2018 fast approaching, companies need to revisit their business continuity and disaster recovery strategies. For those that may not know what that means, its basically making sure that the business continues to remain as operational as possible during the worst circumstances. Where is the brain of your organization? Some companies rely solely on the cloud for all off their applications whether email, website, phones, or CRM like Zoho and Salesforce. Others that want more control and additional security of their company’s resources and intellectual property want to keep those applications running on servers they own rather than in the cloud. I’ve seen too many organizations that house their data in their own facility in closets with fans, under water pipes, on lower levels susceptible to flood damage, and many other simply bad IT business practices. Not long ago I visited a CIO who bragged that he fought internally to secure space in their company’s new building in the basement… near a river prone to flooding. Needless to say our strategy did not align and we did not take them on as a client. Today, a hybrid strategy is a best practice combining the strengths of both the physical data center and the cloud to maximize an organization’s ability to stay open in the most dire circumstances. The right data center colocation space is important. During Superstorm Sandy many data centers in lower Manhattan were down hard with no access to additional fuel for their generators. Most of those that housed the essential switching for the public switched telephone network or PSTN and Internet stayed up and running with diesel being flown in via helicopter to power the rooftop generators while average citizens couldn’t even get gas for their car. I’d much rather my company be in that data center with the gas fueling generators on the roof than the one whose generators were under water. 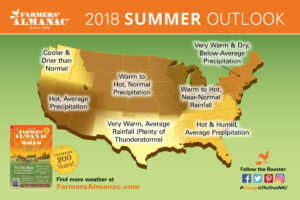 These days I tend to rely more on farmers than meteorologists for my weather. Patterns in nature can be examined via satellite but those with their hands in the dirt, in my opinion, are more credible. This Spring in Polk County NC has been tough with mudslides and heavy rain the cost the lives of our neighborsand even reportersthat came to see the devastation. It’s a small rural county of just over 20,000 covering almost 240 square miles, so it may not have made the news where you are but it was a reminder of the power of mother nature. We easily forget the past because of optimism in our everyday lives however that amnesia can be dangerous. These type of events in more densely populated areas like South Florida, New York City, or any other major city causes a major disruption to business, some of whom end up going out of business. 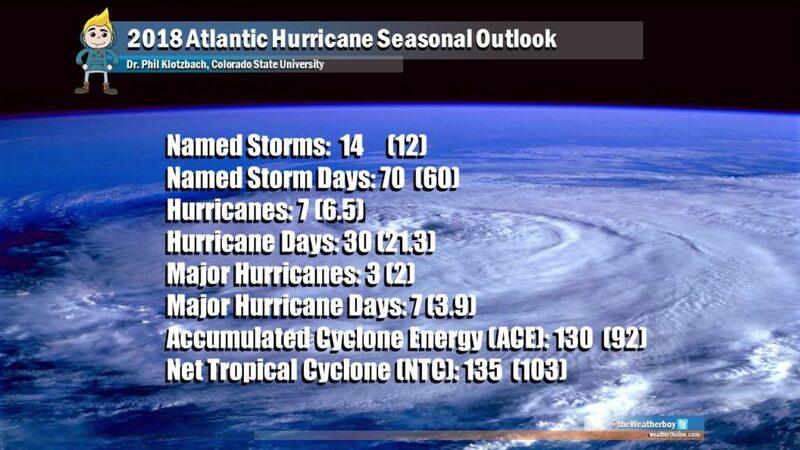 BY WEATHERBOY TEAM METEOROLOGIST – APRIL 5, 2018 The initial outlook for the 2018 is an active one with 14 named storms, 7 hurricanes, and 3 major hurricanes expected; an average season typically includes 12 named storms, 6.5 hurricanes, and 2 major hurricanes. Data Centers not only protect from natural disasters, they also add a layer of security to your company infrastructure. If your data center is in your closet with a fan on it than anyone who can get into your office can do your organization serious harm. That can be an internal employee or someone from outside the organization. Data Centers are equipped with biometric scanners and armed security guards. These centers hold very sensitive equipment and information for some of the most important organizations in the world. Those in the know are always looking to budget for data center space because they understand how important it is to the organization. IT executives sleep better at night when they’re collocating in a facility because they know they have everything on lock down! If a server needs to be reset they can call in remote hands to reset the server on camera by a qualified technician. If their office is flooded they can use the data center to hot desk for mission essential functions. Ever have to print payroll in a data center because your office was flooded? Trust me, its a great feeling to know you can still pay your employees especially since their families are dealing with the same disaster. Back to security, a physical security is a costly expense but very valuable when you’re talking about guarding the brains of your organization. It’ll certainly cost more than $1,000/month which is basically the cost of a full rack in a top tier data center with power (electric) and ping (internet access). FYI-There’s multiple security guards at these facilities. That combined with the cameras and biometrics makes it not only cost effective, but a wise decision. Your security needs are centralized and much easier to manage. Private lines or point to points are typically less expensive than internet access and though SD-WAN is all the rage, its still layer 3 or best effort over the internet, not a physical layer 2 connection which adds security to an organization’s infrastructure. As a business executive or IT professional, if you’ve never toured a data center facility I suggest you do so and have a conversation internally about your business security including protection from natural disasters and other force majeur. That in combination with the right hybrid cloud approach can keep your business functional no matter what. High Availability for mission essentials functions are a top priority. If it’s not being discussed at your company push for it. The CIO’s average tenure is five years, the shortest of all C-Level executives. Target’s Beth Jacob resigned after their data breach but do we know if the conversation was had and budget not allocated. “CIOs already know that situations like this are a possibility, because virtually every aspect of the business these days is run on systems. When systems fail, even if the wrongdoing originates in business operations, the CIO is still a “best bet” lightening rod to attract the blame.”, says Mary Shacklett of TeachRepublic back in 2014. Doing what’s best for the organization is not always easy. Getting your agenda funded and other’s buying into the importance can be a tough road to travel given internal politics. Not fighting for the right resources could have you tuning up your resume sooner than should be the case. Gartner’s Magic Quadrant for Enterprise Mobility Management has four providers in the Leader’s Quadrant. IBM’s MaaS360 and VMWare’s AirWatch are two of the most widely used Enterprise Mobility Management Platforms. In our experience, these two platforms are the ones we get the most requests for information as of late. Ability to Execute and Completeness of Vision drive the position of these Enterprise Mobility Management platforms within the quadrant. The four leaders for 2017 were AirWatch, IBM, MobileIron, and BlackBerry. 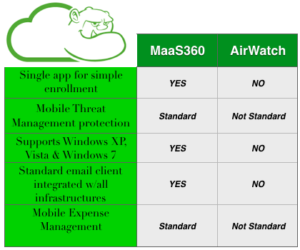 We’ll be looking at the differentiators between AirWatch vs MaaS360. The major differentiators come by way of IBM’s ability to develop and integrate the platform with its other security platforms like BigFix which Gartner calls, “one of the most feature rich client management solutions”. More importantly, MaaS360 provides a completed development container that securely separates business from data. In addition, MaaS360 works across all platforms including laptop and desktop environments. IBM makes it really easy to implement a secure BYOD environment and integrates with all platforms including iOS with much greater control than AirWatch can provide on the operating system. Read more here. Some folks reading this article may not be as tech savvy but are still involved with the decision making process when it comes to budgeting for security. We try to make the process easier by translating the various languages that exist within the various departments of various companies. When it comes to BYOD and Security everyone is in agreement that we need more security without losing the ability to do things like work remotely, use your personal iPad, get emails and check Salesforce on the go. It just makes us more efficient. It also makes us more vulnerable. Is your Mobile Device Management making you vulnerable? Back to IBM vs AirWatch, they’re both great solutions and we could write novels… better yet whole epochs on the differences and how that applies to your environment. 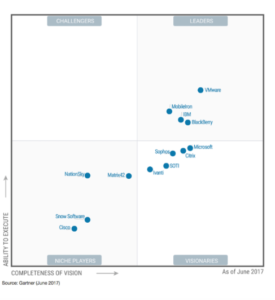 MobileIron is also a solid platform worth consideration as are many of the platforms in Gartner’s Magic Quadrant. IBM’s solution is simply more comprehensive. It works on many more platforms and can be expanded and layered into IBM’s greater security management platform that includes Intrusion Detection and Prevention, firewall, and a host of security services from a company whose technology has proven the test of time. IBM has been a leader in the tech space for eons and for good reason. Their Artificial Intelligence platform is improving daily and this all improves their ability to provide a robust solution. MaaS360 is simple and affordable while maximizing security and scalability. Integration into existing infrastructure is seamless… even if you’re running Vista! Users can proactively monitor for compliance, auto-quarantine newly discovered devices on the network for a more secure implicit deny strategy, and implement data leak prevention. With MaaS360 you’ll be able to automatically remediate mobile security risks. You can even get a thirty-day free trial by clicking here. It’s clear that security threats are on the rise so for companies with concerns, a Risk Assessment is the first step in mitigating threats. Just hours ago I received a phishing attempt to access my Apple ID via a spoofed Apple email address with a link to a server in Georgia, and I don’t mean Atlanta. Let’s say you haven’t performed a Risk Assessment and one of your fellow employees clicks on that link and puts in their Apple ID and Password. What valuable information can be lost? Say that email doesn’t look like its coming from Apple but rather your Network Admin or a cloud based service you use like Salesforce.com? What proprietary data is at risk? How much will it cost your company? If you want to look at things more personally the ‘what about my job?’ question is fair to ask yourself as well. In order to answer the questions above thoroughly you’ll need to have a Risk Assessment performed. This way, when it hits the fan you’ll have an idea of what exactly needs cleaning. 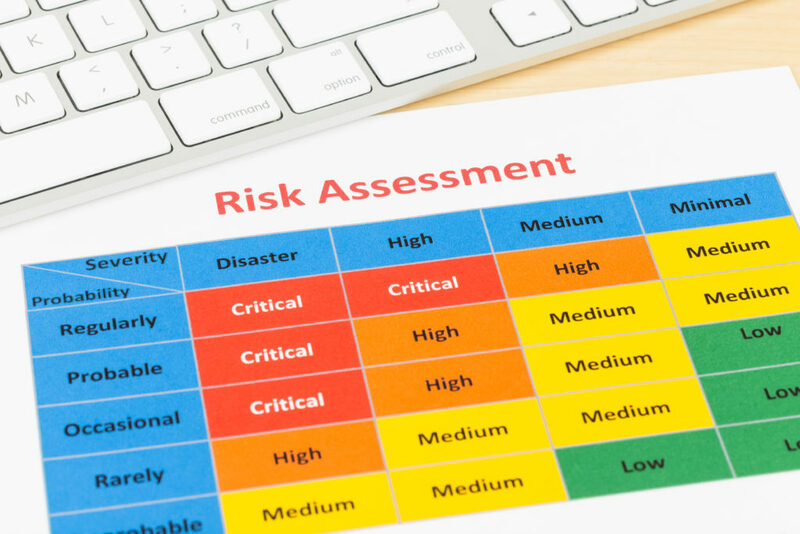 There are four parts to any good risk assessment and they are Asset identification, Risk Analysis, Risk likelihood & impact, and Cost of Solutions. Asset Identification – This is a complete inventory of all of your company’s assets, both physical and non-physical. From there you’ll want to evaluate what the asset is worth. A $5,000 server’s worth is not based on its cost but a range of additional factors like what it would cost to fixit or replace it should it break or be hacked. You may want to start with an telecom audit, starting at $2,500, just to get a hold of what assets you actually have out in the field. Risk Analysis – This is where you’ll assign both quantitative and qualitative values to risk, analyze the probability of said risk, and strategies to reduce that risk. For example, if your data center is where all your data storage and processing takes place, you’ll want to mitigate that risk by taking a hybrid approach incorporating both AWS and Azure to offload some of that compute and mitigate your risk of failure. Simultaneously, you’ll want to look at exactly what you have in the cloud and what impact you’ll have if one of your cloud providers fails. Click here for more on Cloud Data Services. Risk Likelihood & Impact – This is the part of your risk assessment where you’ll rate the probability and its impact. Your Annual Loss Expectancy is obtained by multiplying your Single Loss Expectancy (what it will cost) by your Annual Rate of Occurrence (how often it will happen). This is where subjective opinions may clash but your organization should really rely on IT experts to make these decisions and assign these values. One of the most common mistakes that we run across in businesses are in-house data centers. 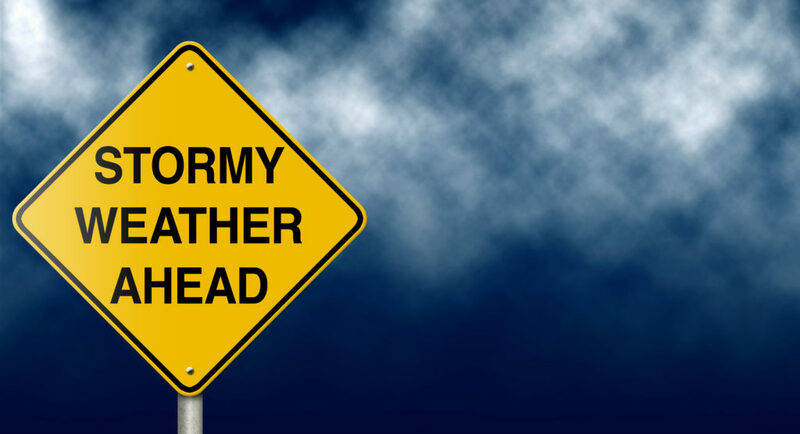 Adding colocation may seem expensive until a storm floods your data center. Cost of Solutions – Now is your chance to justify your budget with finance. If the cost of the solution far outweighs the likelihood of an event, then there’s no justification. There’s no reason to build Fort Knox for a couple of dollars and there is no reason for a Palo Alto device with all the bells and whistles for a small home office. A SonicWall will probably do just fine. Along that same line of thought, you can’t have an outdated firewall protecting sensitive health or financial information.